Hotwired is a business that capitalizes on local talent and uplifts the community in the process. “Wire art is a unique art – it started in the ghetto in the Seventies – we couldn’t afford to buy toys so we had to improvise” says Joseph Ketche, Hotwires owner. Hotwired is a platform for many locals to be trained and Joseph often commissions them to produce many custom made wire and beadwork items for Corporate orders as well as for locals and tourists. Hotwired is known for their skill and imaginative ability to produce the most innovative, stunning items made from beads and wire. The products available from Hotwired range from small ornaments, functional items, to more complex art pieces. One of Joseph’s proud achievements is being commissioned to do the reception area in beads and wirework for Google South Africa. Milton & Gwen, owners of M & G’s support communities by identifying quality handcrafted items that are produced locally and give them the platform to get orders. 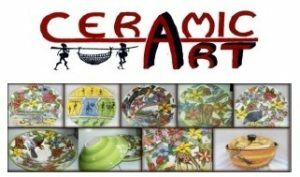 M&G’s have had many orders for corporate year end gifts and continue to offer a service for unique products that are sourced by the many crafters in and around Gauteng. Reeds Organic Vegetables sells home-grown, delicious organic vegetables and herbs. The business is run by Shadrack Reed, who works with a team of men who he has trained in the Lanseria area. Shadrack’s organic vegetables are fresh and free of harmful chemicals – his system promotes ecological balance and biodiversity. Shadrack is a well-educated, humble man who is not only passionate about gardening, he is completely committed to spreading opportunities to learn skills and create jobs for the broader community. Shadrack is a proud preferred supplier to the Bryanston Organic Market and supplies Fit Chef with vegetables. Unique Taste sells delicious preserved olives, peppers and chilli’s. 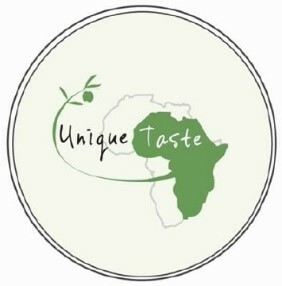 The business is run by passionate foodies where their products are prepared with the best recipes and bottled with love! Piet Bakers and his enthusiastic entrepreneurial team believe that through Unique Taste they will share and spread their positivity for South Africa’s future through their love for making delicious condiments and helping to up-skill and employ fellow South Africans. Their products are in demand at various markets and have a steady customer base in the retail sector. The Jabula Mama’s (meaning happy mothers) are a group of women from informal settlements in and around Lanseria.. The Jabula Mama’s have graduated from our Enterprise Development Programme and are now housed in a container with their sewing equipment in their local community. They continue to get orders for custom made articles and do orders for their local community for traditional clothing, homeware and alterations, mending and fixing. Zamula Five Star Co-op was started by a dedicated and talented group of women from the Refilwe informal settlement near Lanseria Airport, in 2007. The ladies produce quilts, table cloths, napkins, aprons, shopping bags, cushions and other high quality items for customers. Clement is a proud supporter of Anti Poaching and through his passion for South African Wildlife he has created a range of exquisitely handpainted Rhinos which are sought after as collection pieces.